Last year? Man, last year sucked. Nintendo bled loads of cash. Sure, the Nintendo 3DS was neato, but the rollout was rocky. And the Wii? That just gathered dust in anticipation for the upcoming Wii U. 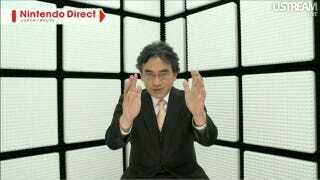 But Nintendo is already saying this year is going be fine, that we should not panic. Nintendo is coming back, baby! Because, you see, Nintendo has a game plan—just like always. For the "Nintendo 3DS," its hardware has been sold below cost because of its significant price cut in the fiscal year ended March 31, 2012. However, Nintendo expects to cease selling it below cost by the middle of the fiscal year ending March 31, 2013. As for the "Nintendo 3DS" software, a totally new side-scrolling action "Super Mario" in 2D called "New Super Mario Bros. 2" will be released this August, and the latest version of the popular franchise for this handheld device, "Animal Crossing," is scheduled to be launched this fall in Japan. The newest title in the "Brain Age" series, with which people can brush up their "working memory" (a brain function of processing or utilizing the incoming information with information kept in the brain) and "concentration power" at the same time, will be released by this summer in Japan. Moreover, Nintendo will attempt to maintain the popularity of evergreen titles such as "SUPER MARIO 3D LAND" and "Mario Kart 7," and release compelling products one after another, in order to further expand the sales of the "Nintendo 3DS." Also, Nintendo will roll out the "Nintendo 3DS" in Asia in due course. Nintendo will release the "Wii U," the successor of the "Wii," mainly in Japan, the United States and Europe at the end of this calendar year, and propose a new play style of home entertainment with its unique controller embedding a 6.2 inch touch screen. Nintendo continues to pursue its "Gaming Population Expansion" goal based on the idea of putting smiles on many people's faces by offering brand-new entertainment that anyone can enjoy, regardless of age, gender, or gaming experience. Nintendo strives to spread the "Nintendo 3DS" released last year, will endeavor to spread the "Wii U" to be released at the end of this calendar year, and will keep on offering not only Nintendo-developed new games but games and services making use of the capabilities of those systems by collaborating with software publishers while positively promoting potential evergreen software titles. Moreover, Nintendo will push forward with "Nintendo Network," which is the network service for the "Nintendo 3DS" and the "Wii U," and offer game experiences, which enable users to compete and interact with others all over the world, and provide add-on content by utilizing its network functions. Furthermore, for the purposes of adapting to the changes in the environment surrounding the video game market and creating new business opportunities, Nintendo is envisioning the digital distribution of packaged software and is aiming at expanding the digital business. In the challenging and competitive video game industry, which consistently requires new and innovative products, Nintendo will continue striving to expand its offerings of compelling products and services by capitalizing on being a platform holder with powerful in-house software development teams. The real takeaway here is that Nintendo seems as though it will make a big Nintendo Network push. How will all this pan out? We'll know in a year. See ya then!